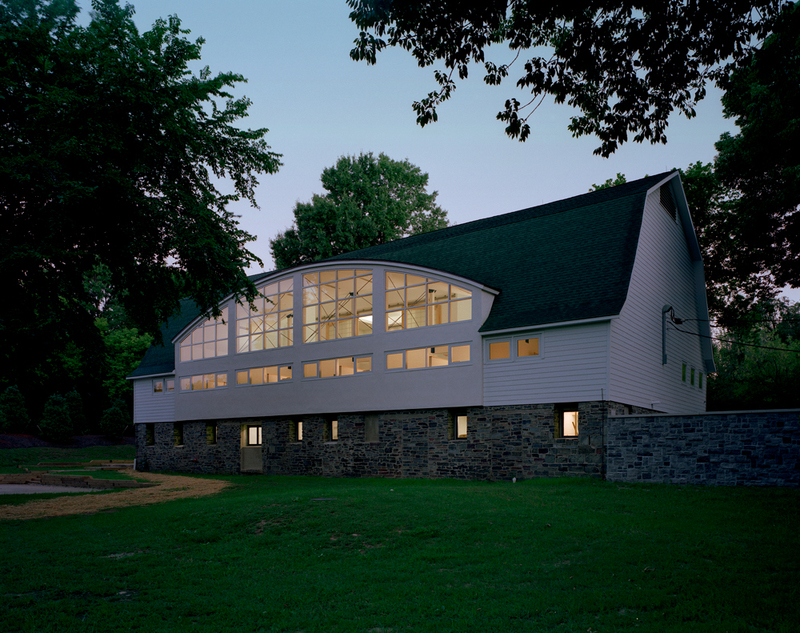 Adaptive reuse of a 10,000 s.f., two-story 1926 barn for office use in suburban Princeton. The wood structure had been unused for 30 years and had deteriorated. The old interior was dark, low ceilinged, and represented a rabbit warren of small spaces filled with junk. 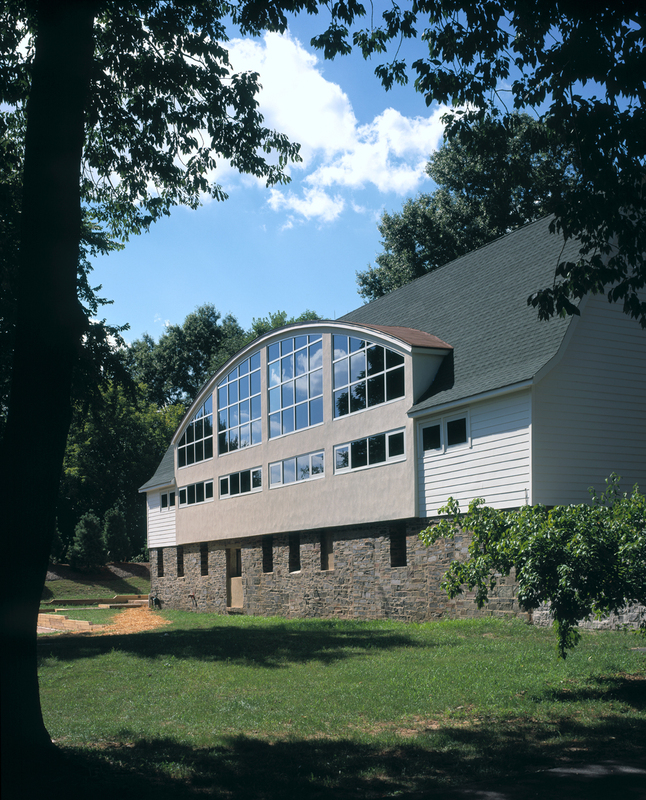 The new alterations brought abundant natural light into all areas of the structure through the introduction of two new curved, glassed, entrance dormers and a large curved glassed dormer at the rear of the building. 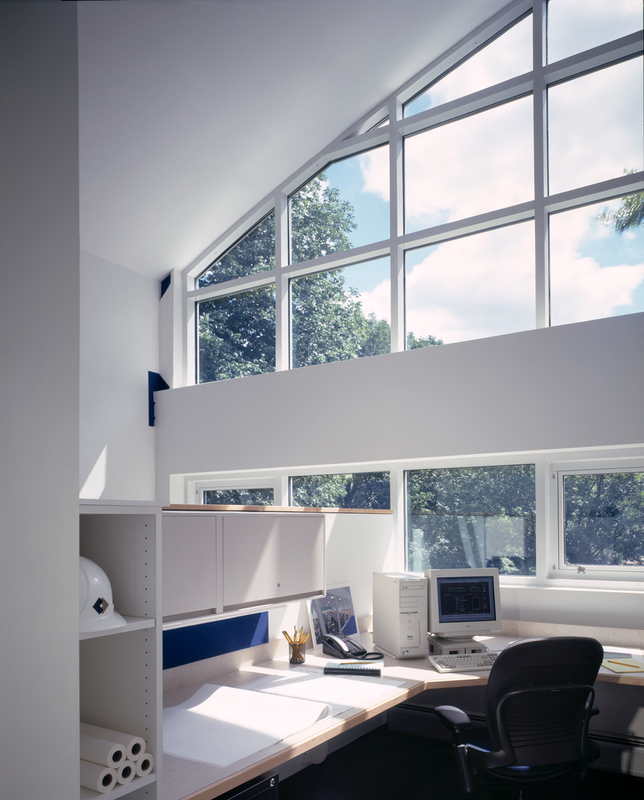 An open layout with partially walled offices was integrated with a mezzanine conference room for a pleasing mixture of spaces. 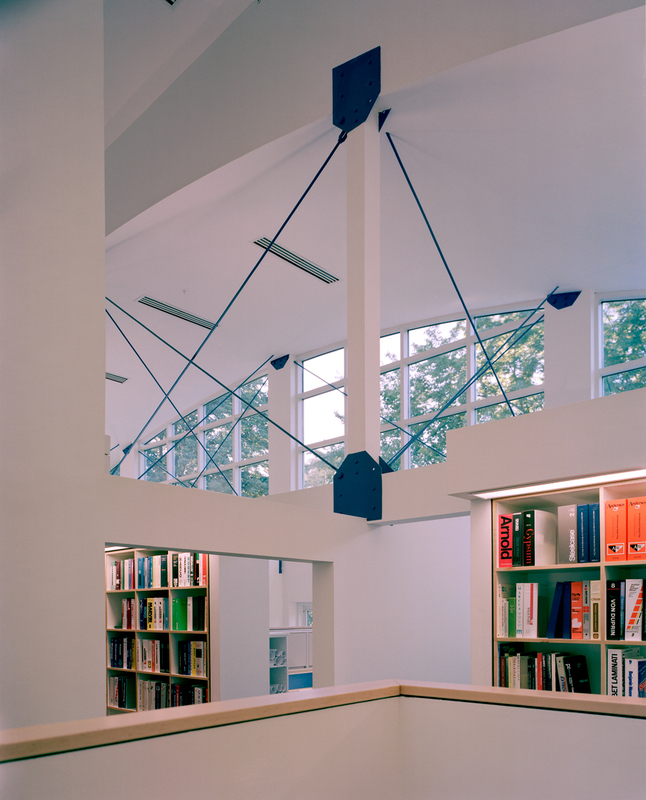 A series of structural plates, pins, and tensioned steel-rod braces facilitated an opening up of the space to the gambrel roof above. All of the building’s utility and support systems were made new. 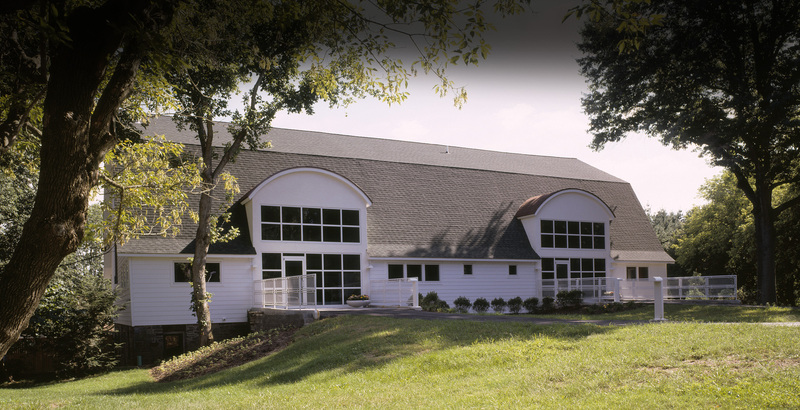 Extensive landscaping, including the demolition of existing outlying structures, helped to better integrate the building into a park-like setting. 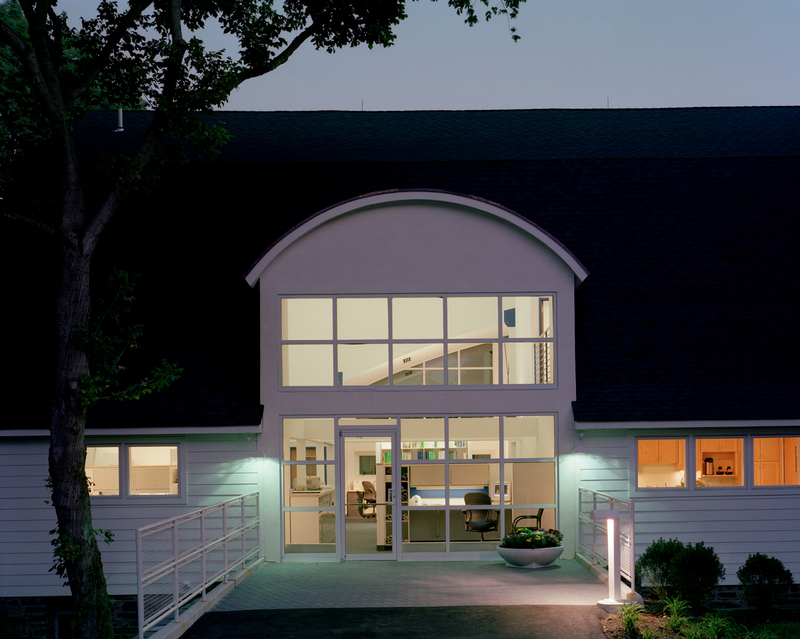 The project won a national remodeling award.